Since its founding in 1990, the gallery has specialized in appraisals of limited edition graphics with a focus on the 20th and 21st century masters. Recognized as an authority on the works of Salvador Dali, the gallery appraised the artwork of Albert Field donated to the Dali Museum in St. Petersburg Florida. The gallery has appraised and authenticated works of art from individuals, corporate entities and museums nationwide. 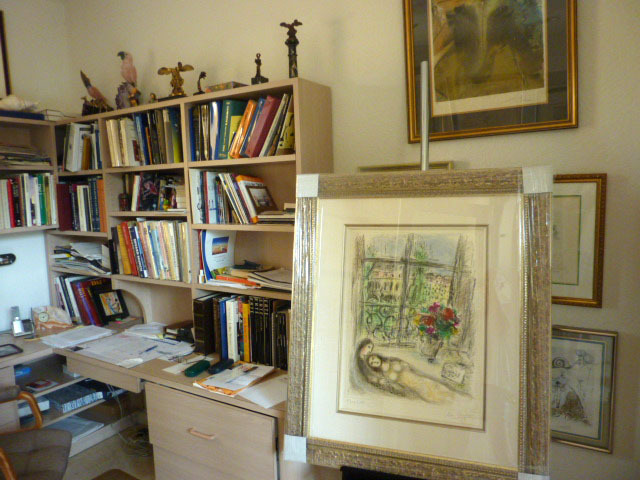 We were members of the International Society of Appraisers (ISA) from 1988-2012 and continue to work with all appraisers on valuations of all Master prints especially Salvador Dali with our 40 plus years of collecting his work. I was a past treasurer and lecturer in the local ISA chapter in South Florida and have been asked to speak again as a guest lecturer. We can also help in certain cases with help in identifying forgeries on certain artists with our background in paper and watermarks. Print Catalogue Raisonées of the 20th century and Contemporary artists: Joan Miro, Salvador Dali, Pablo Picasso, Marc Chagall, Rufino Tamayo, Edvard Munch, Louis Icart, Andy Warhol, Roy Lichtenstein, Keith Haring, Toulouse-Lautrec, Henri Matisse, M.C. Escher, Georges Braque, LeRoy Neiman, Wifredo Lam , Erte, Renoir and DeChirico and others.